It's already Week 11 of the 52 Weeks of Dishcloths and this dishcloth that I made is my favorite so far. I love the way it looks and it reminds me of a doily. It was so much fun to crochet and it only took me one day to make! 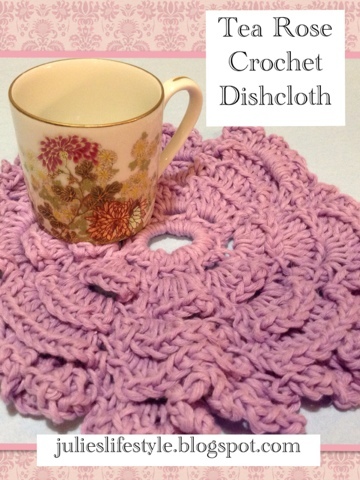 I really love this color I picked out and it is from Martha Stewart Crafts, cotton hemp in the color Sugared Violet. I will be buying more of this yarn in the same color in the future because it's my favorite! 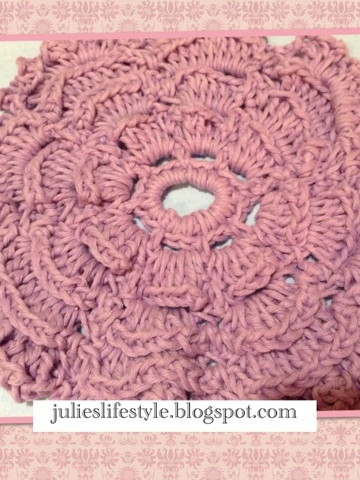 For the details and the pattern you can go to Being Spiffy if you want to make this dishcloth. This is gorgeous! Thanks so much for linking up on Hookin On Hump Day! Really is gorgeous! 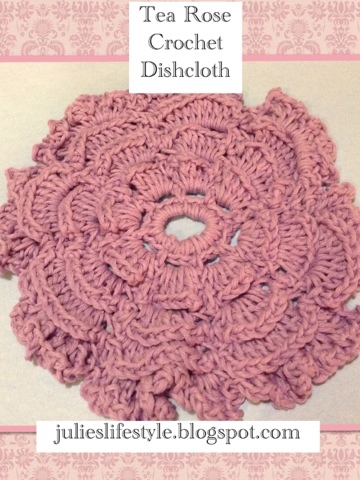 Almost too pretty to be a dishcloth. lol! Thanks for sharing with SYC. I love making dishcloths. Thanks for sharing this. I found you and will now follow!